Looking to buy a new Crock-Pot or grab one as a gift? 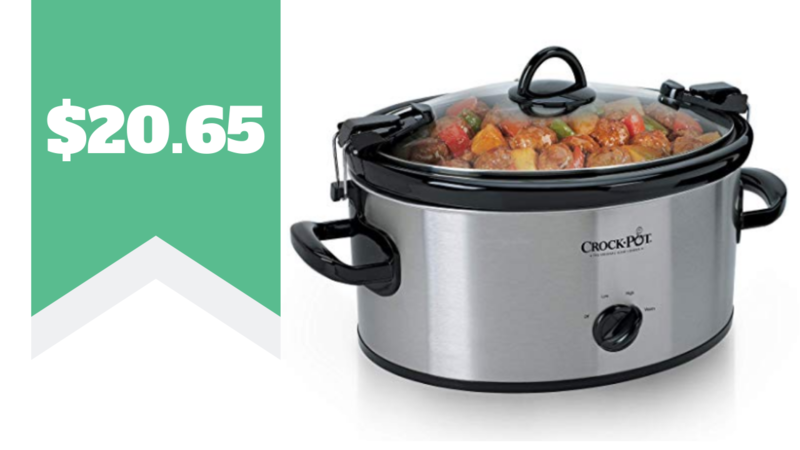 Amazon and Walmart have the Crock-Pot Cook & Carry Slow Cooker on sale for only $20.65 (reg. $49.99)! This Crock-Pot holds 6 quarts and has a locking system, which is great for when you need to transport your dish. Free Shipping on Amazon with Prime or on orders $25+ or more. Free Shipping at Walmart on orders $35+ or choose Free store pickup. Sale price available for a limited time.